Anja Pizzeria offers you a rich selection of dishes from its menu and a great dining atmosphere in a restaurant with modern design. The attractive location of the pizzeria in the heart of Skopje combined with excellent food, drinks and sweets makes Anja a popular destination for locals. Although pizza is the main item on the menu, Anja restaurant offers a wide selection of meals and a unique mix of Mediterranean and European cuisine. 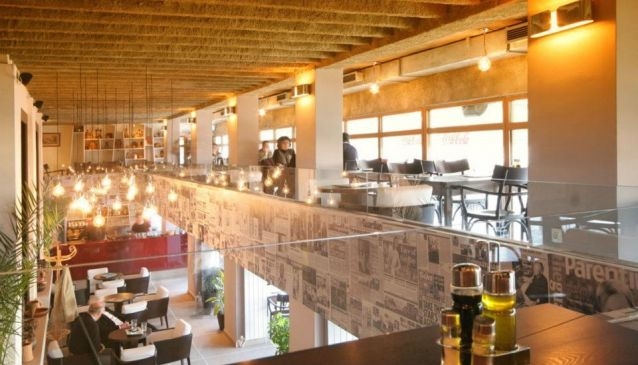 This restaurant is located at the quay of the river Vardar and very close to all the museums, attractions and monuments as well as shopping and nightlife destinations.